the very best that life has to offer. As great as life in Kansas City is already, it promises to be even more exciting in the years ahead. 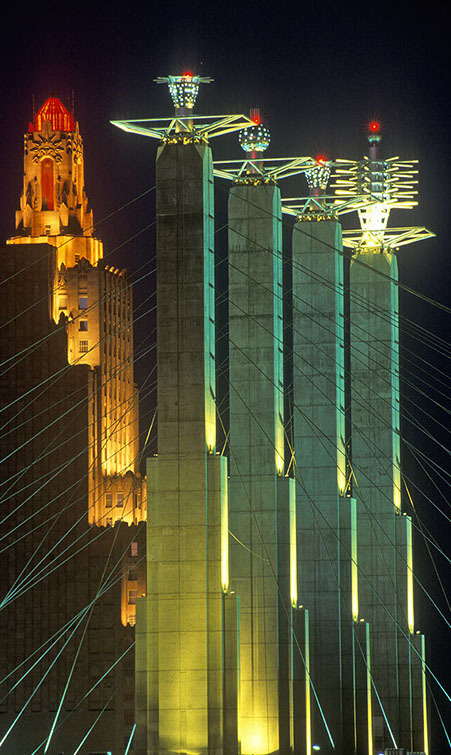 With more than $6 billion now invested in its new downtown renovation, the Power & Light District, and billions more flowing into its fast-growing high-technology industries, there is no better place to make the future your own. 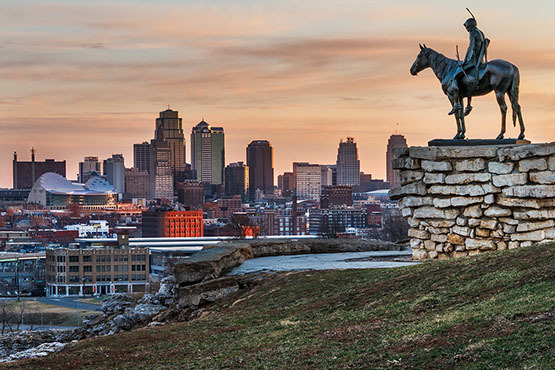 talent, energy and economic strength of the Kansas City metropolitan area we call home. 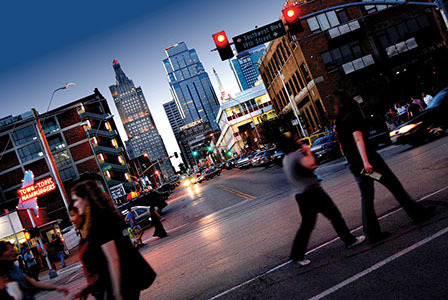 With a vibrant downtown night life that is ranked among America’s best by Forbes magazine, and with a powerful track record of innovation and leadership in fields as diverse as communications, global positioning systems, biotechnology, finance and healthcare software, Kansas City offers a combination of opportunity, affordability and culture that makes it truly unique among major American cities. 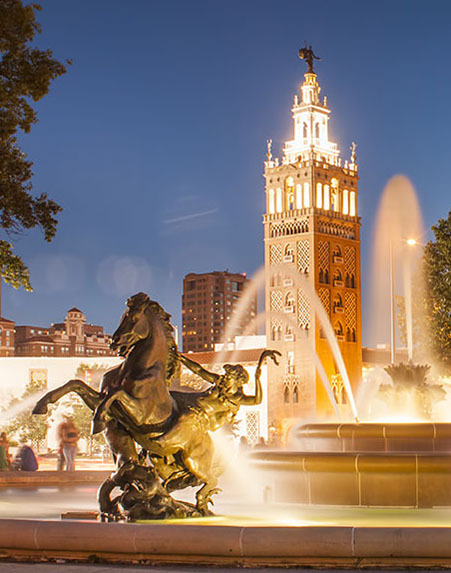 Find out why we think Kansas City is such a great place to be. The legend that is Kansas City barbecue began in the early 1900s in an old trolley barn at 19th and Highland. His name was Henry Perry, and his food created an aroma that attracted daily crowds to the back of the barn, where he slow-smoked ribs and sold them, wrapped in newspaper, for 25 cents a slab. 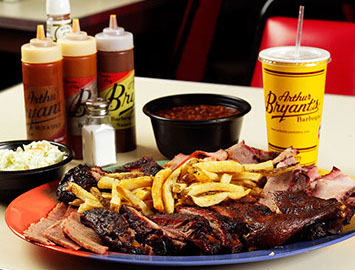 Today there are nearly 100 barbecue joints smoking in Kansas City, and the melding of flavors and styles from across the country results in award-winning, mouth-watering flavors. Whether you’re enjoying the world’s largest tailgate party or witnessing one of the loudest stadiums in the NFL, there is no place like Arrowhead Stadium. Arrowhead is home to the Kansas City Chiefs, and if you find yourself seeing red, don’t be concerned; nearly everyone around here does at certain times of the year. 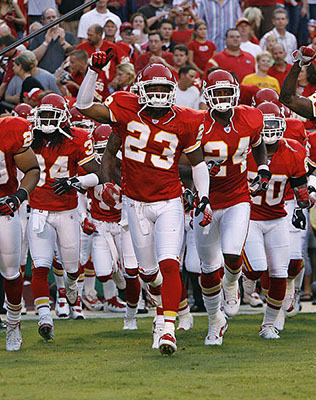 The Kansas City Chiefs enjoy the full support of a large and loud fan base in this corner of the NFL world. Tailgating at Arrowhead Stadium is practically a major league sport of its own on any Chiefs Sunday, with fans firing up their grills in the early morning hours and partying through the day. 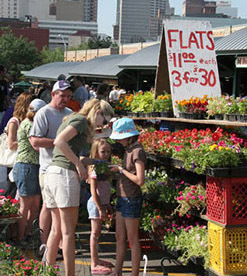 The City Market, which celebrated its 150th anniversary in 2007, is home to an eclectic mix of restaurants and merchants who offer distinctive gifts, flowers, home accessories and specialty foods from across the world. Through November, it hosts the region’s largest farmers’ market on Saturdays with additional markets on Sundays and Wednesdays. The buildings surrounding the open-air market house more than 30 shops and restaurants that are open year round, including the Arabia Steamboat Museum. The Market also offers an impressive lineup of concerts and special events. The neighborhood that arts built, once-vacant warehouses have made way for a bohemian neighborhood that you never would expect in this part of the country. Art is everywhere you look. The party in the streets? That’s First Fridays, one of the nation’s largest free art crawls, featuring more than 60 shops and galleries that stay open late in the 20-block area. 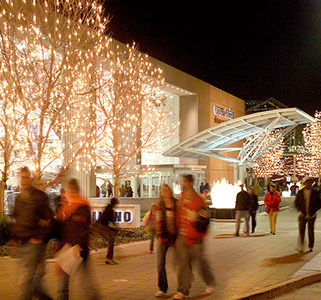 Home to the international headquarters of Hallmark Cards, Inc., the 85-acre Crown Center is frequently referred to as a “city within a city.“ The mixed-use community melds residential and office spaces with innovative shops, restaurants and entertainment venues. Crown Center Square houses live music performances, the city’s only public outdoor ice skating rink and several large fountains. 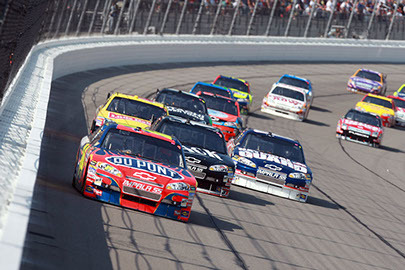 Home to the nation’s top professional auto racing since 2001, Kansas Speedway is a 1.5&dash;mile tri-oval racetrack in the booming Village West development in Kansas City, Kan. The 81,000-seat speedway hosts big-league racing events for NASCAR and ARCA. 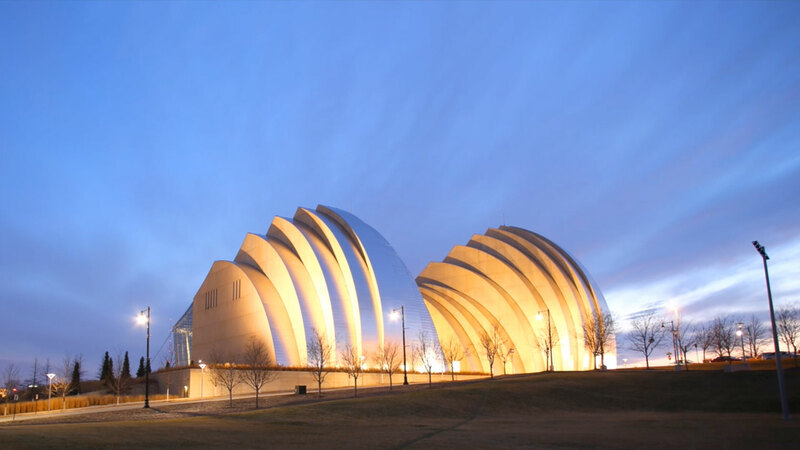 With an architectural design as unique and harmonious as its wide spectrum of performances, the Kauffman Center for the Performing Arts is the newest jewel of Kansas City. Featuring the technologically advanced Muriel Kauffman Theatre and Helzberg Hall, this 285,000-square-foot glass and stainless steel work of art is praised by both attendees and world-renowned performers and artists as the pinnacle of performing arts centers. 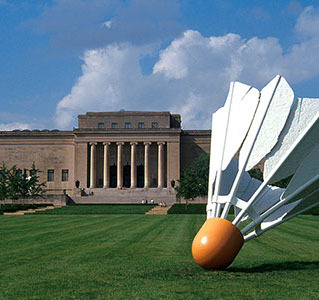 One of America’s most comprehensive general art museums, The Nelson-Atkins Museum of Art features 34,500 items spanning more than 5,000 years. Completed in 1933, this magnificent stone neoclassical structure houses pieces ranging from ceramic objects found in ancient Chinese tombs to whimsical sculptures of badminton birdies. On June 9, 2007, a $200 million expansion and renovation project expanded the museum by 71 percent with its new Bloch Building. The Plaza Art Fair is one of the longest-running and most beloved art events in the nation, and Kansas City’s kickoff to autumn. The event features over 240 artists, and the streets of the Country Club Plaza transform into a winding outdoor art gallery. 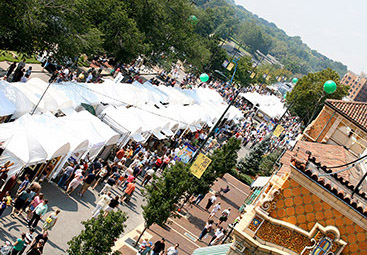 With more than nine blocks of art, crafts and jewelry, the Plaza Art Fair is a cultural experience like no other. 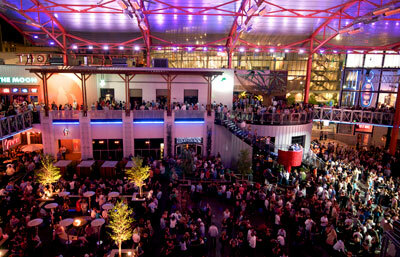 The Power & Light District encompasses eight city blocks of restaurants, shops and nightlife in the heart of downtown Kansas City and is adjacent to the Sprint Center. The many restaurants and nightclubs surround a beautiful courtyard that provides the perfect place to gather with friends and enjoy the open air. The KC Live! Stage plays host to more than 150 free concerts and events each year. Kansas City’s “Boys in Blue” enjoy a loyal following once the Major League Baseball season begins every spring. 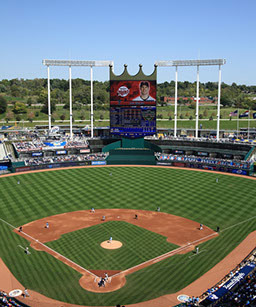 The Royals do battle in the American League’s Central Division and call Kauffman Stadium home. With its fountains, fireworks and fabulous food, “The K” is one of baseball’s crown-jewel ballparks and a great destination for fans of any age. Every Friday home game features an impressive fireworks display, and Family FunDay Sundays include a chance for kids to run the bases. 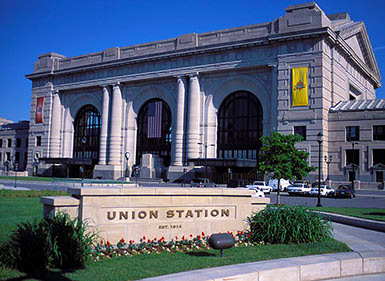 Part of historic Union Station, Science City provides real hands-on fun, all in the name of science. Attractions include the KinderLab, which features a role play center with puppets and a stage, and DinoLab, where the process of prepping dinosaur specimens is on display for everyone to see. A day at Science City can include digging for fossils or landing a space shuttle in a NASA-style simulator. Science City is fun for kids (of all ages) who won’t realize how much they’re learning. 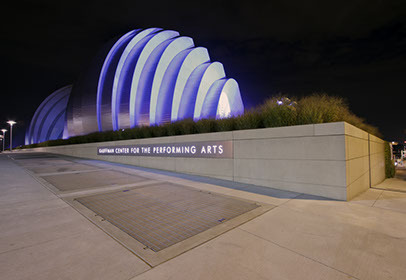 Starlight Theatre is Kansas City’s oldest and largest performing arts organization. Each summer, Starlight presents up to six Broadway musical productions and hosts a variety of top concert artists on its outdoor stage. The 16-acre Starlight Theatre complex, located in Swope Park, is one of only three outdoor theatres of its kind still operational in the United States. It seats approximately 8,000 people. 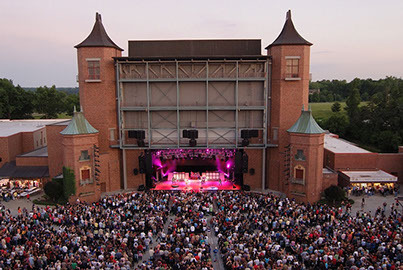 In 2011, Starlight Theatre was selected as the “Favorite Performing Arts Venue” and “Favorite Concert/Live Music Venue” in the KCCVA’s Visitors’ Choice Awards program. Starlight also received awards for “Best Performing Arts Venue” and “Best Theater” in Ingram’s 2011 Best of Business Kansas City Awards. 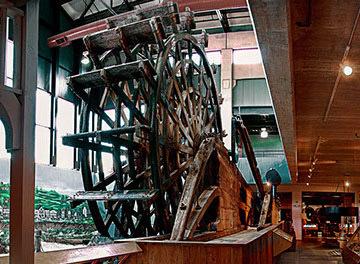 Housing the largest collection of pre-Civil War artifacts in the world, the Arabia Steamboat Museum features more than 200 tons of recovered artifacts from the sunken 1856 steamboat Arabia. The museum’s exhibits and “touchable treasures” tell the story of the boat’s Missouri River demise and amazing rediscovery in 1988. The T-Bones and Community America Ballpark bring baseball fun to Wyandotte County. 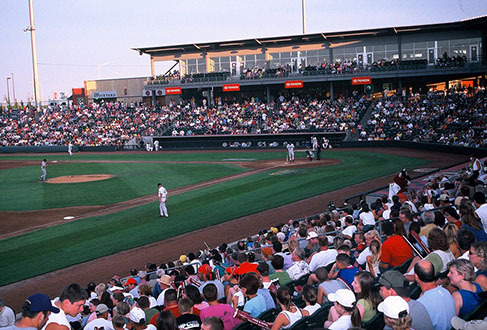 With affordable tickets, inexpensive concessions and free parking, the T-Bones have established themselves as an affordable, family-friendly sports attraction in the KC metro area. The T-Bones offer attractive season and individual game ticket prices, and home games are also a great place for group outings. Celebrating Harry Truman’s 125th birthday in 2009, the Truman Library & Museum recounts the life of America's 33rd president. 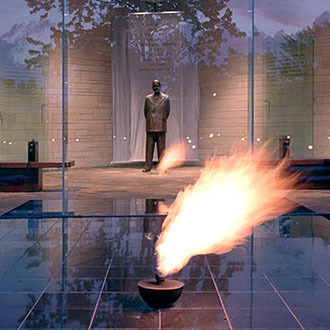 One of only 13 U.S. Presidential Libraries, the museum’s two permanent exhibits chronicle the Missourian’s private life and political career – with exhibits depicting his most difficult decisions and challenges like using the atomic bomb, dealing with the Cold War and recognizing Israel. President Truman and his wife, Bess, are buried in the museum’s courtyard. 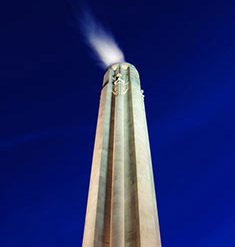 Opened in December 2006, the National World War I Museum at Liberty Memorial serves as the first American and only national museum dedicated to The Great War. Designed by Ralph Appelbaum and housed beneath the existing Liberty Memorial, the 30,000-square-foot core exhibit features more than 50,000 artifacts – the world’s second&dash;largest WWI collection behind Britain’s Imperial War Museum.